Note: Asterisk denotes Team Captains. The above teams working with the village commissioners purchased and distributed clothing, food and building materials, and even planned and assisted in rebuilding structures to house some of even planned and assisted in rebuilding structures to house some of the most needy families. Brave members to hold their own meeting of the “Talofofo Club while the regular meeting was in progress. This, of course, was good for appropriate fines which enriched our treasury. At this point I must mention that our excellent Secretary, Bob Barry, accrued more fines than any other Rotarian. A. Rotary Ann parties with good food, good music and good people, always well attended and enjoyed by all. B. Beach parties at Jones Beach Ken Jones graciously donated his beach property for our annual Beach Party. We could always expect a terrific turnout for this even. Rotarians, wives, children and guests enjoyed swimming, children and guests enjoyed swimming, softball, volleyball, reef fishing and a great Barbeque. 4. On the serious side of Rotary activities, we had charity projects for the benefit of the local community. During my tenure as President, one of our projects was sponsoring, in part, a local student’s stateside medical education. Upon completion of his education, our Doctor was to return to Guam to commence his practice for the benefit of the people of the Island. 5. 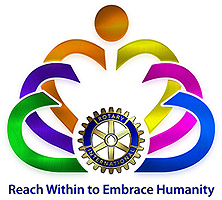 The outstanding memory of Rotary charity is of the period immediately following the destruction of the Island by Typhoon Karen, November 11, 1962. Wind instruments broke at 207mph. The island was without communications to the mainland for several days; without power for approximately ninety days and without water for some weeks. Many house were completely down, others without roofs, etc.,; a traumatic experience for every person on Guam. Fortunately, there were only nine deaths. 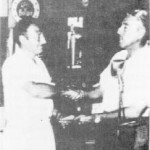 During this period the Rotary Club requested and obtained from the Governor’s Office, the names and locations of the neediest local families. We divided into teams, located the families, ascertained their immediate needs and set out to meet the. 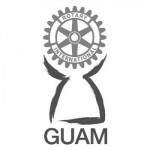 The merchants of Guam were extremely responsive with their donations of food, clothing, bedding, etc., in sprite of their own perilous situation of damaged stores and merchandise. Our Architect Rotarians designed simple low cost dormitory type house for the larger families consisting of eight our more children. One large bedroom for the boys, one for the girls, and one for the parents; with kitchen, combination living-dining room, and bathroom. I wonder what happened to this design as we felt it was a good idea. I will never forget my team’s particular family of twelve children and one more on the way. It was a rewarding experience working for and with them. One of their sons, a seven year old named Francisc, called me “Uncle Bush”.